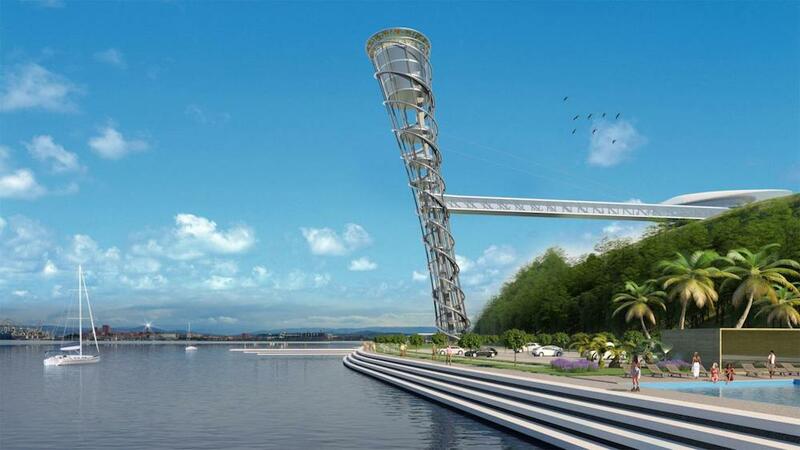 Officials in the city of Koper have unveiled new designs for a leaning glass tower set along the Slovenian coast. 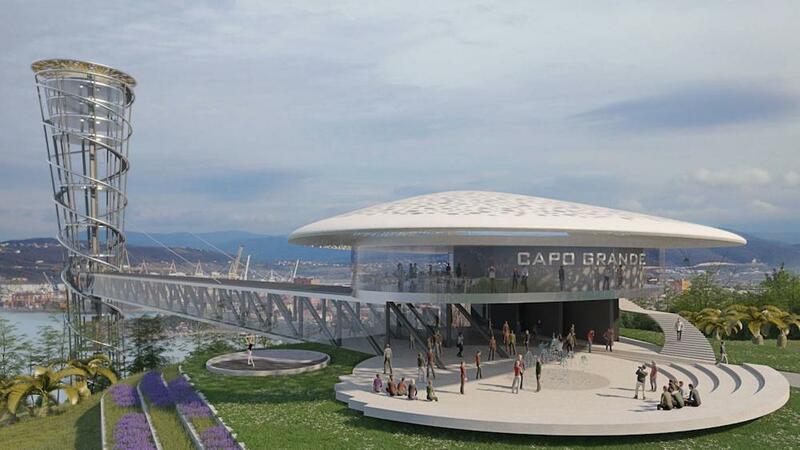 Slovenian architect Sandi Pirs designed the swirling Capo Grande Tower with Massimiliano and Doriana Fuksas. The tower will be built on a slight incline, so that the 111-metre tower will lean gently out to sea. As well as offering tourists a panoramic view of the surrounding coastline the structure will also link the Giusterna beach to Monte San Marco via a 100-metre long, glass-encased bridge. The soaring double-eclipse structure was designed to represent Italian and Slovenian cultures, coexisting peacefully both in Koper and along the coast. 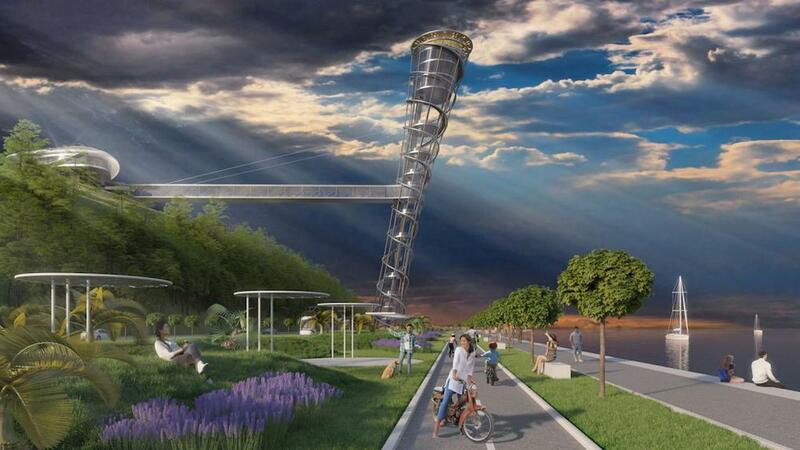 The city hopes that the tower will become a new local landmark, drawing tourists to the beach and the recreation area planned for surrounding area.